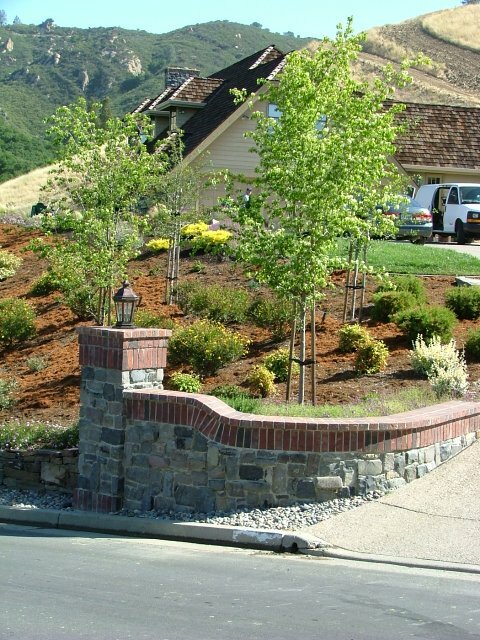 Dry creek beds are a nice way of eliminating small patches of grass that take a lot of water and maintenance, they also serve to add a unique visual interest. 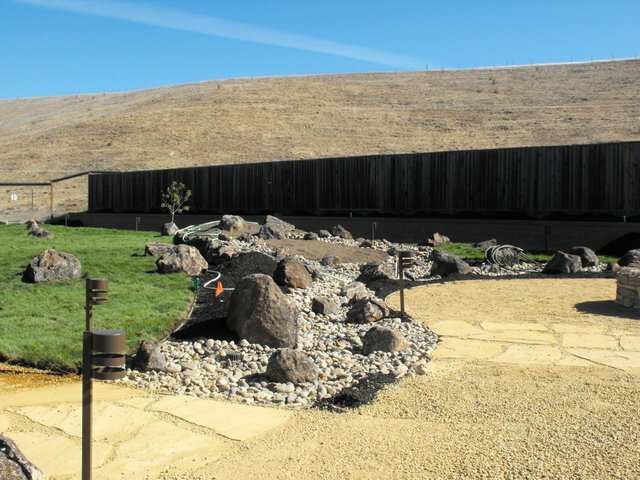 Dry creek beds work well in the San Francisco Bay area as they are most appropriately used for our Northern California dessert climate, especially coupled with our concerns of ongoing drought. Shown here with a type of native grass called “no mow” that allows for the look of green, with minimal water and softer appearance of grassy field.